"The reason interest rates are so low in the first place is because of monopoly central banking, which exists in the U.S. only because Congress voted to create the Federal Reserve. The Fed is a monopoly money facility. It is not a free-market creation .. The way to get rid of monetary distortions is to do away with monopoly central banking .. Government 'laws' – any type of government actions actually – fix prices; this inevitably distorts the market and creates unexpected, negative results. Over time these negative results can turn a recession into a depression. Many would argue we’re already living through one .. The way to compensate for government ruin is to do away with its ruinous policies. Instead, mainstream media and those who support activist government area always suggesting other things government needs to do that will counteract what it has done before. This is nonsense. 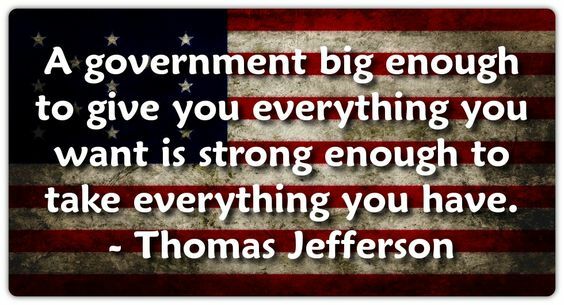 The only 'solution' to government problems is LESS government. And maybe someday, somehow, somewhere, no government at all." For the first time ever, neuroscientists have treated a total quadriplegic (a 21-year-old young man) with stem cells, and he has substantially recovered the functions of his upper body only two months into the process. The patient himself thinks there is reason to believe (or he is at least hopeful) that there will be further positive developments. What this means is that, using pluripotent stem cells, the scientists have been able to not only help this patient’s severed nerves repair themselves, but they have also demonstrated the potential to accomplish the same sort of regenerative healing in every organ in our bodies. This result was not due to the skills of the surgeons; it was due to the power of this stem cell process that has been around for quite a few years but is just now getting around to being used. The FDA...monopolizes our healthcare choices...or lack of it. Kris Boesen is a young man who suffered a tragic #spinalcordinjury from a car accident. After being treated with a #stemcell therapy in a CIRM funded clinical trial at @keckmedusc, he now has the use of his hands and arms back. He is one of five patient treated in this phase of the trial, but his amazing improvement gives us hope that one day other patients will benefit from this treatment.